It’s not about getting rid of all stress, it’s about learning how to manage it. Taking care of your health is something you are responsible for. But not everything that is healthy is something you should do more of. Some things you should do less to be healthy. Such things are things like unhealthy food, alcohol as well as the things that stress you on daily basis. When we say do not stress so much we ignore the fact that stress is inevitable in our modern world. However, what we can do is manage the stress we expose ourselves to every day and learn how to destress at the end of the day. Most people would say to you that you need to stress less, but nobody tells you how to destress the stress that’s already in your system. That’s what you should learn this month. 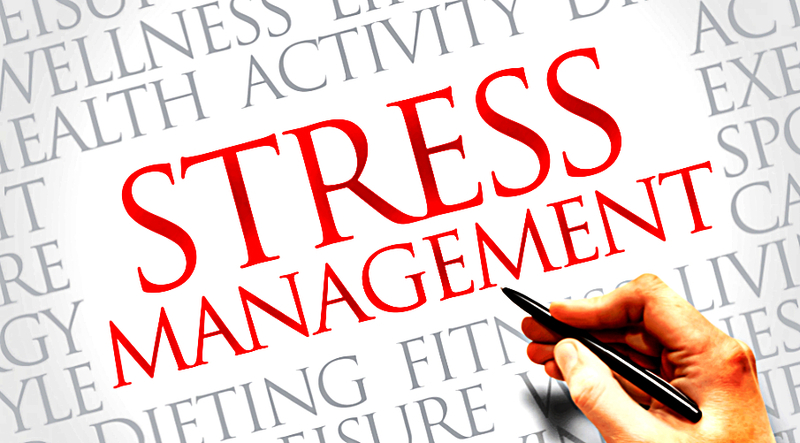 Learn how to manage your stress! Do less of the things that give you most stress. Make a list of all the things that give you stress during the day. Look at the list and find the 20% of the things that give you the 80% of the stress. See if you can eliminate all of these high stressing things from your daily lifestyle. If some things are outside of your control see if you can do something about them to prevent their stressful impact on you. If you can’t do anything about them, leave them. The rest of the things on the list, as well as the things you can’t do anything about, should be your daily stressors, and you should accept this fact. However, this does not mean you should let them fill you up with stress hormones without taking some initiative to get rid of the stress. We all get stressed, almost daily, but the real trick in managing your stress is finding ways that help you to destress, to steam out the stress that’s within your system. See what works for you. Try mindfulness meditation, yoga, exercise, writing, running, painting, listening to music. Find the things you think will destress you and list them. Look at the list and try them out. It’s best if you try them out some time at the end of the day, after you have tackled all the stressors in your daily lifestyle. After trying all the activities on your list, evaluate them and find the 20% of them that steam out 80% of your stress. Make these activities, or activity, a habit. Get rid of the things that stress you most. Practice the activities that destress you most at the end of your day. That’s how you manage your stress in the modern world.